Check it Out. Shakespeare as a Teenager! 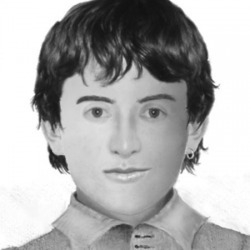 A Police sketch artist was commissioned to re-create what Shakespeare might have looked like at age 14 based on existing paintings we have that MIGHT be Shakespeare (no one really knows 100% for sure). He kind of looks like Harry Potter right? Weird, I know. There are many, many websites that list information about classic American and Canadian poets. For your research project with your partner you may use any website or *gasp* BOOKS that are available to you, but you must make sure they are legitimate (or legit as Tyler and Caleb would say). This is a quick update about upcoming class work and homework. Martin Luther King Jr. - "I Have a Dream"
Attached below is the full version of Dr. King's famous speech with footage from the march on Washington on August 28th, 1963. Some people asked about his children: Yes, three of Dr. King's four children are still alive: Martin Luther King III, Dexter Scott King and Bernice Albertine King. His eldest child, Yolanda Denise King, passed away May 15, 2007. Here is the video we watched in class that provides a brief and funny introduction to the history of American Literature. Part 1 and Part 2 are attached below if you'd like to re-watch either one to refresh your memory. Now that you have read Stephen Crane's story "A Dark-Brown Dog" you might be wondering why someone would write such a sad tale? 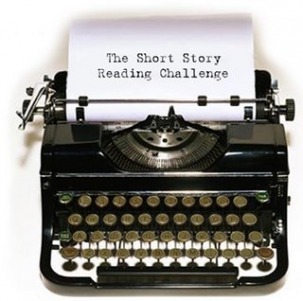 This is a very interesting question, but as we have learned through our novel study, and in Jack London's story "To Build a Fire," stories are not always about happy events because really good authors do their best to reflect life as accurately as possible, like looking at ourselves in a mirror. 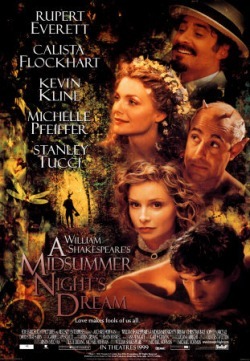 In fact, in Shakespeare's famous play Hamlet, Hamlet himself says that really good drama (plays and stories) should "hold a mirror up to nature" (meaning human nature and the natural world). I want you to go to this site: http://www.ted.com/talks/lang/eng/anna_deavere_smith_s_american_character.html and watch the acting performance of Anna Deavere Smith. She does a one-woman show about "American Character" - just like we are studying in our short story unit! I will warn you that the stories she acts out are real and have some violence in them, but they are all true stories from real Americans. If you find that one section is upsetting you can skip to the next character. QUESTION: How is Anna Deavere Smith's show like the short story "The Dark-Brown Dog"? What qualities of American life are we being shown through these characters and what can we learn about culture and history from Stephen Crane's short story and the characters Ms. Deavere Smith is acting out? You have three homework questions to complete about the life and death of Emmitt Till. If you are interested there is a video below with Bob Dylan singing his song "The Death of Emmitt Till". Please be aware that there are some disturbing images of Mr. Till after the beating near the end of the video. (@4:04). You do not have to watch it if you don't want to. Don't forget your Point-of-View Trial Assignment is DUE THIS TUESDAY, MARCH 9th! This should be 2-3 pages, double spaced in Arial or Times New Roman font. You should be writing all the events of the trial that YOU think YOUR CHARACTER would find important or interesting. The idea is to see how well you can "get inside someone's skin and walk around for a while" like Atticus says. Your FINAL MOCKINGBIRD TEST is also on MONDAY. Check out Sparknotes.com to brush up on your Mockingbird skills, and don't forget to review your quizzes and notes.